The Osprey Pack Kestrel 38 Backpack is designed to be lightweight and functional enough to be your do-it-all piece of backpacking gear. Recently updated with a sleeker, more streamlined look, Kestrel packs nonetheless continue to offer a classic feel. The Kestrel 38 is a go-anywhere pack with an attractive all-around feature set including a top-loading design which keeps gear organized efficiently and easily accessible. Two torso sizes, an adjustable harness, and peripheral steel spring rod frame provide a custom fit out in the bush. The different straps (shoulder, chest and waist) are all very comfortable and makes the bag feel very light. The shape of the backpack also made it comfortable as it is pretty ergonomic and does not lead to stress or pressure on any body part. The Osprey Pack Kestrel 38 Backpack also had lots of space and different compartments that are easily accessible. There are multiple small pouches on the waist straps. There is a mesh zip net on the underside of the top. There is a mesh open net on the outside where you can store food in a way that is easy to access without it feeling loose or unsecured. The shelf/flap in the lower half of the pack helps keep the main load high so your back doesn’t get sore. The water bladder pocket works great with 1.5, 2.0, and 3.0-liter sizes. The Osprey Pack Kestrel 38 Backpack is a good pack for day hikes or light trips. You will stay comfortable and dry with this durable and high quality made pack. This pack really fits well and has lots of pockets. It is very comfortable to wear and has nice support on the shoulder and waist. The weight gets evenly distributed so you will not get a sore neck or back. If you are planning an extended backpacking trip, then you should consider the Osprey Aether 70 Backpack. This backpack is awesome for those multiple overnight stays. Osprey has been making high quality and comfortable backpacks for a long time. This pack is made of lightweight and durable material. It comes with comfortable shoulder straps and a well padded hip belt that will distribute the weight evenly. If you are looking for a high capacity, comfortable and versatile pack then this backpack is for you. The shoulder straps are well padded and wick away any sweet. The strap adjustments allow for a great fit. The hip belt is nicely designed and fits snug. The whole harness assembly will keep the pack total weight evenly disturbed for maximum comfort. The hip belt pocket comes in handy for those go-to items like phone, camera and snacks. The Osprey Aether 70 Backpack comes with convenient compression straps that will keep your gear snug and secure. This pack also has a zip up sleeping bag compartment. This is great for keeping your sleeping bag separate from your other gear. This allows for easy access and storage. The top pocket feature allows you to store things like trail maps, headlamps and baseball caps. The top pocket has a nice and large zipped opening and sits directly on top of the pack. Dimensions: 36h x 14w x 14d in. The Osprey Aether 70 Backpack is a great overall pack for extended trips. 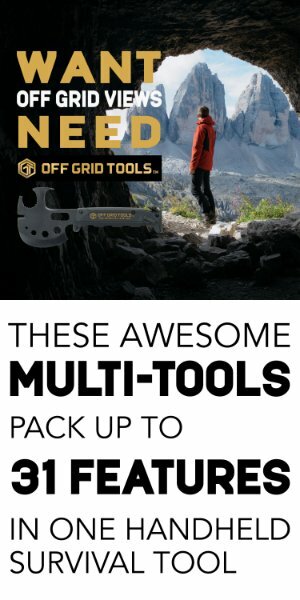 This is a top notch pack that can handle just about all of your needs. It has many useful features that will make your next trip comfortable.